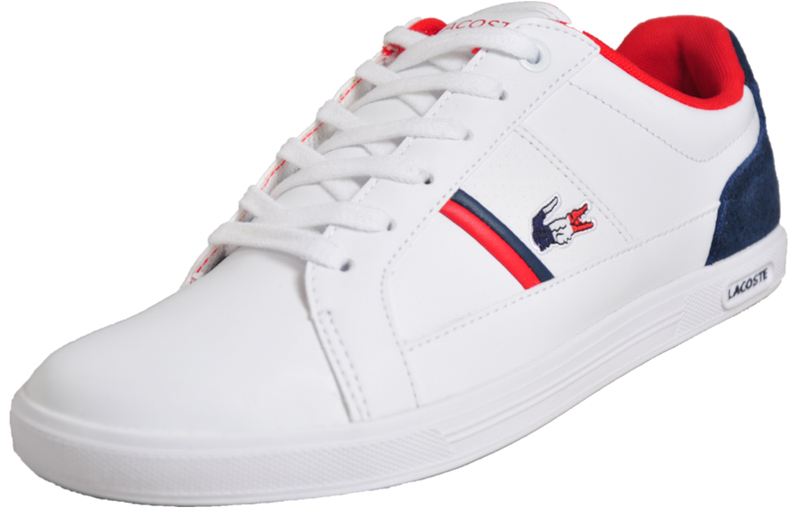 A must have trainer from the experts in classic design and available in a stunningly smart and casually modern white, navy and red colourway this Lacoste Europa is ideal for casual dressing and offers a timeless refined look. 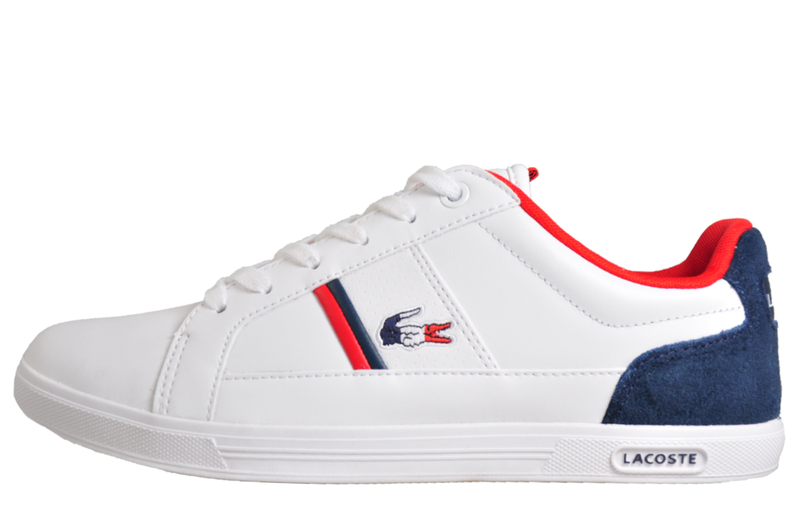 Expertly crafted the Lacoste Europa is hard wearing and made from high quality premium leather and synthetic materials. Boasting the Lacoste signature logo to the side this colourway gives the Europa a handy versatility perfect for teaming with weekend apparel. Featuring a cushioned insole, the Europa is guaranteed to give long lasting comfort throughout the day as well as stability that you can count on. 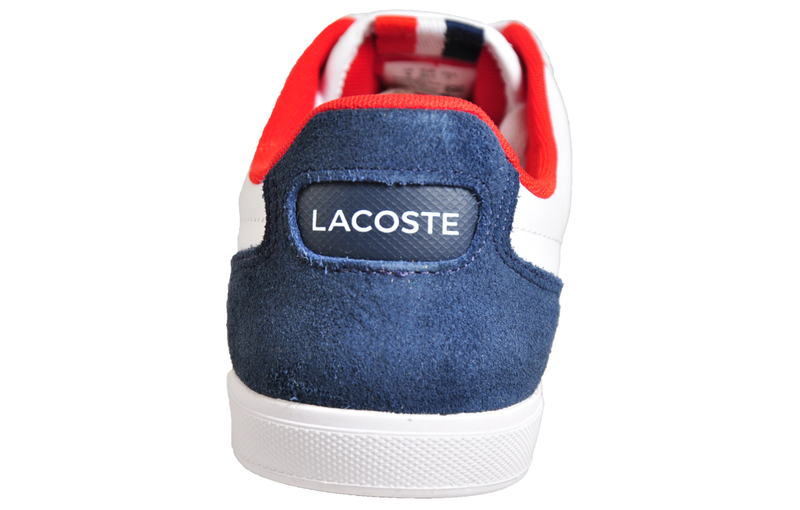 A real Lacoste favourite, the men’s Europa boasts effortless style and classic design and has been reimagined in a contemporary mix of quality leather and durable synthetic trims with on-trend detailing and classic Lacoste branding.